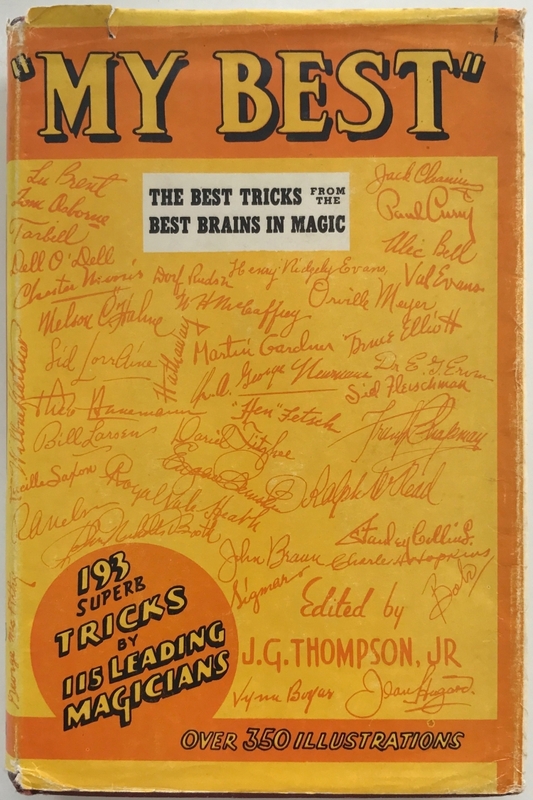 A collection of the best originations conceived by eminent creators in the inventive field of twentieth century magic. Written by James G. Thompson Jr.
384 pages (Hardcover), published by D. Robbins & Co., Inc. Illustrated with drawings by Tom Fitzgerald.